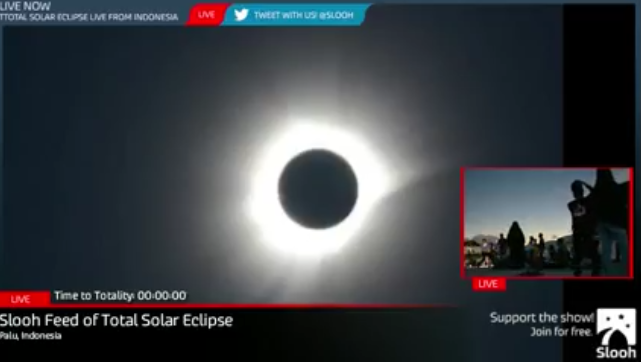 Daily Express: Internet channel Slooh Telescope is broadcasting the special event after a team was sent to Indonesia to capture the event, which will see earth plunged into darkness, on camera. Click back on this story tomorrow from 11pm (GMT) to watch the three-hour broadcast at Express.co.uk. The precise location of Slooh’s expeditionary team is being withheld due to security concerns. THE spectacular total eclipse of the sun will only hit parts of the southern hemisphere, but you can watch it live HERE tonight.